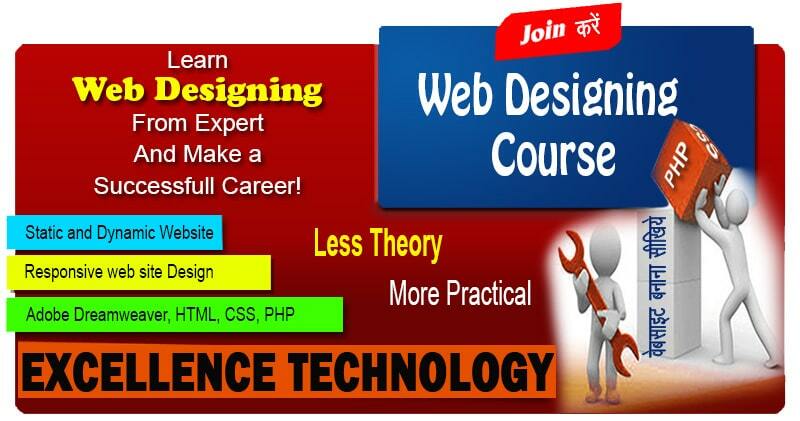 By doing best web designing training in chandigarh you will kick start your career as a Front end developer ,UX Designer, Web Designer . After the completing the course of basic web designing and advance web designingyou cab easily start from 15,000/- to 25,000/- per month. After completion of course Excellence Technology will conduct your 5 interviews in reputed MNC’s .Excellence technology will prepare you for these interviews by giving you free PD and Soft skill classes so the you can easily crack any interview.